Now, since I am back, from Russia (KWU World Championship), UK (39th British Open and 7th Incorporating Cup of Europe) and finally from my well deserved week’s break in Lithuania, I have some time to think about all my recent events and can share some of my thoughts about them:At the beginning of October, along with another Irish fighter David King I had opportunity to represent Ireland (sponsored by Accenture) in the second Kyokushin World Union (KWU) World Championship in Khabarovsk, Russia. This is the second time in the history of this sport that 250 of the strongest competitors in the world, representing 46 countries, 10 of the largest international Kyokushin organizations, fought together on the one mat, in one tournament. 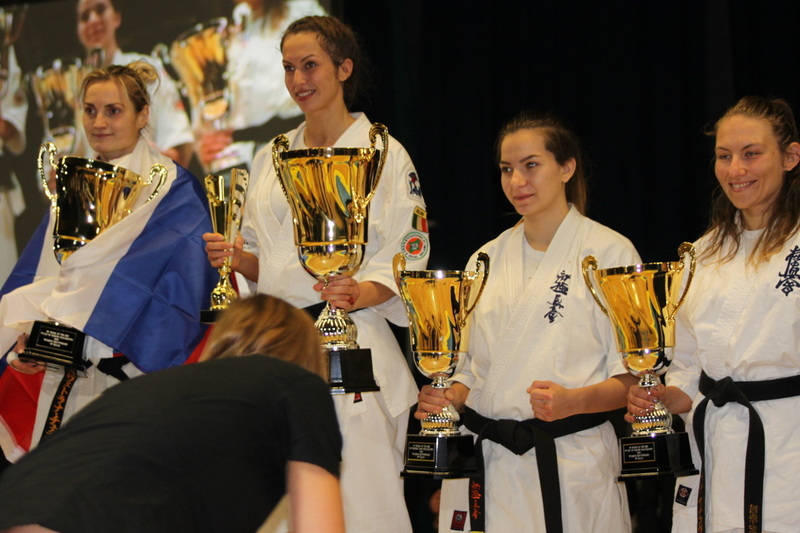 The championship was organized at very high standards lasting 2 days. Overall I were awarded 3rd place. 3rd place is not the result that I was dreaming of, but I was honoured standing on the podium receiving recognition with the other winners. The lesson I learned is that no matter how hard you try at something, how much energy you put in and how much you wish for it to happen, it doesn't always happen the way you plan. But the challenge is the opportunity to test yourself, to analyse yourself and then - work on your mistakes. Glory is not a forever lasting process, there is lots of work and pain hidden under those shiny trophies, and not only of those who receiving them. Just 2 weeks after the world tournament (on 17/10/2015), I successfully represented Ireland in 39th British Open Championship (Incorporating Cup of Europe) and won first place. I am very pleased to know, that I am the first Irish female fighter to bring home gold from this tournament, and the second gold winner in Irish Karate’s 50 year history (Sensei Ken Fitzpatrick won his champion’s title in 1998). It was great day. I am very grateful to all my coaches: Sensei Shane Mulhall (taking most stressful role - being National Squad Coach), Shihan Kevin Callan (with his very inspiring speeches and support), Dave Hedges (who is responsible for the pain, which my opponents receiving from me, during the fights - that is his fault :), Sensei wShane Lalor for his amazing organising skills) . They all put lot’s of effort and time, lots’ of strength, speed, endurance, power and, most important confidence into me. To my sparring and training partners (from Kokoro MMA Dublin & North Strand Dojo , Finglas Dojo, Swords Dojo and Killester Dojo) - who were collecting bruises and injuries while I was training! To my colleagues who took on extra work during my absence, and to my sponsors Accenture (high performance was delivered) I am proud to be part of Accenture and proud to wear the name on my suit! For Ratoath Inn (the place where I will celebrate my victories and important life events) The sponsorship which I received, helped me to prepare and compete, without taking it from my family. And this really means world to me. And last but not least, I'd like to thank my family members for their continued support and encouragement: to my dad Viktoras Rudys for his support, to my mum Tatjana Rudiene - you are my example, you are my Hero! To Gytis Meskauskas, who is my husband, main training partner, coach, daddy for our 2 wonderful boys and for believing in myself more than I do! Domo Arigato! The week long Camp covered all aspects of Traditional Kyokushinkai Karate and culminated in a Karate Tournament for all on the Final day. All participants had a fantastic time and learned new skills and met new friends. Thanks goes out to guest instructors who visited and gave of their time and services to the Club. Kyokushinkai is renowned for it’s full-contact form of fighting. Training is open to male and female from 6yrs up to and including Adults. It is a practical Martial Art and some benefits include: Self-Protection, Health and Fitness and Confidence building. 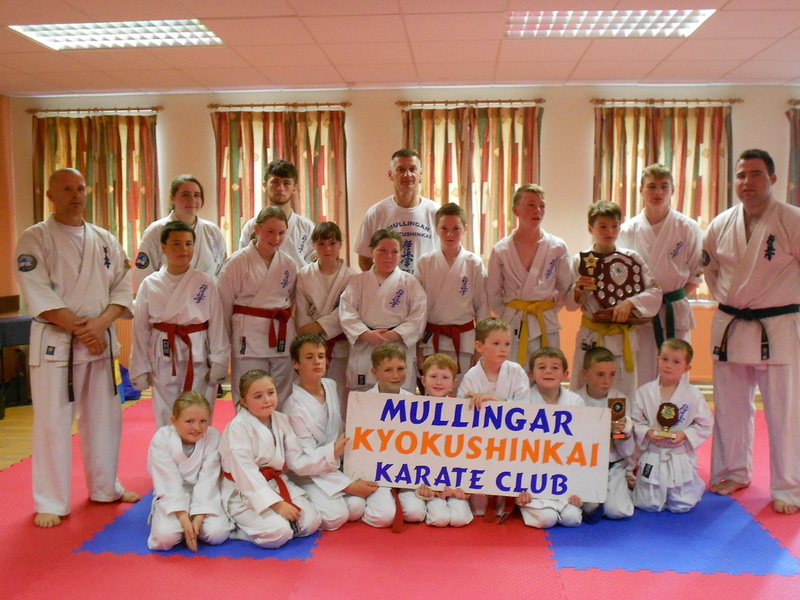 The club meet twice weekly on Tuesday and Saturday at the local Parish Centre, Mullingar and new members are always welcome. Check out www.kyokushinireland.com or call 044 9335891. 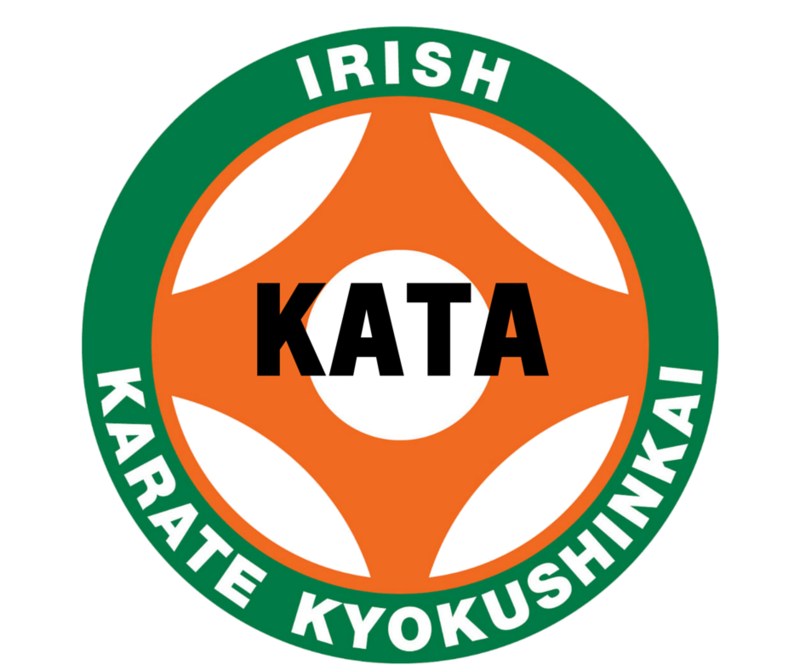 The next kata session will be on the 29th of August and will be in Galway Dojo. 2:30pm to 5pm all ages and the format will depend on attendance. More than one class may fit your schedule. Feel free to join in at no extra cost. Training in Finglas for August will be from 8 to 10pm on Mondays, starting tonight. It will be knockdown and conditioning and for seniors only. The next Junior Clicker session will take place on Sunday 9th August 2015 in Galway Dojo from 14.30 - 17.30. 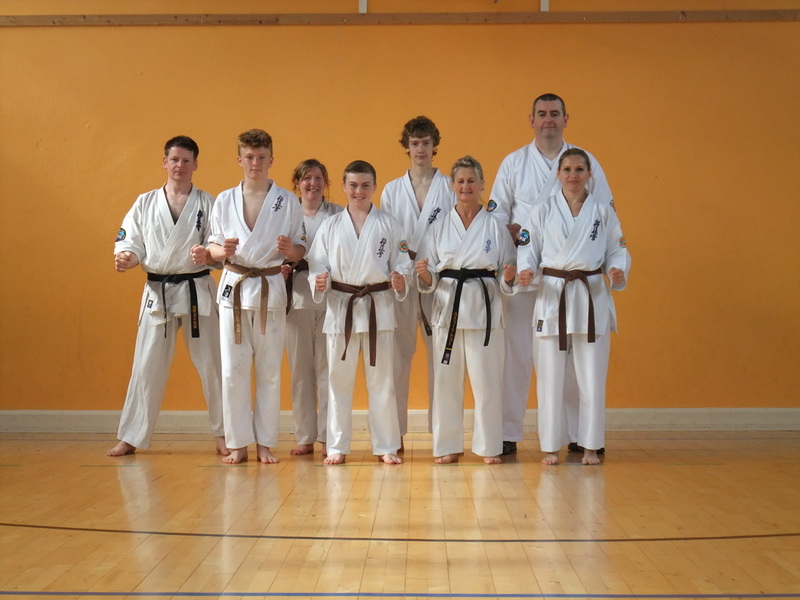 The next one after that will also be in Galway Dojo on the following Saturday 15th August from 10.00 - 17.00. Senpai Dave will be picking the team for the Severn Challenge in October at this session. Please make sure you bring Licence Pad and Water to these sessions. All clubs should endeavour to ensure that as many Juniors as possible attend these sessions. Saturday the 25th of July saw a long overdue kata training session. It was held in Galway Dojo from late morning to early evening. The day started off with juniors working katas from 10th Kyu to 6th Kyu. The juniors put up a good show and their eagerness to come and train was truly appreciated. As with all the kata sessions before, time ran out quickly bringing the next session from 12 to 2pm. This session saw Juniors and seniors from all grades who demonstrated effort and determination. They worked katas from 10th Kyu to 3rd Kyu. A lot more time was allocated to each kata as they worked on the Bunkai, stances and breathing. It was useful to iron out any mistakes and keep everyone on an even keel. Even though time was against us we were still able to get the 3rd Kyu katas performed. This session ended at 2pm with a break for refreshments. The final session of the day was for brown belts and Dan grades only which started back at an Irish 2:30 (ish). Katas from 2nd Kyu to nidan were performed with some people getting a crash course in shodan katas which some found manageable and some found difficult. Even with the time limit we were able to get through all the katas scheduled and a few extra bits of knowledge and tricks were learned. Many thanks to students from Galway Dojo, Westport Dojo and Minamigawa Dojo for attending the day. Many thanks also to the parents for dropping off their children and collecting them. I look forward to the next Kata session on the 29th of August. This will most likely be in Galway dojo again, depending on availability. Information will be made public when confirmed. The next kata sessions will be on the 25th of July and the 29th of August. The first one will be in Galway Dojo and the second is to be decided, but will be announced before the date. More than one class may fit your age category or grade requirement. Feel free to join in at no extra cost. The IKK held the first of its national gradings for 2015 in Gaelic Street dojo over the weekend of the 26th and 27th June. Over the course of the weekend we had four people attempting 2nd kyu, one attempting 1st Kyu and one attempting Shodan. The Friday night was for Dan grade candidates only. By contrast to the last National grading in December 2014 when the temperature had dropped to -4 the temperature over this weekend was in the mid 20s so the venue was very warm and humid. Most of Friday night was spent on the hhysical test along with many technical aspects with just Patrycja Calka attempting shodan. 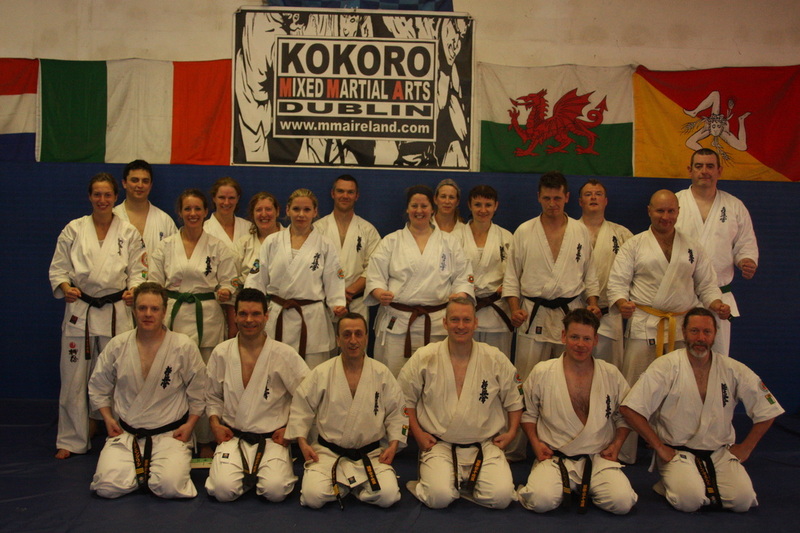 On Saturday she was joined by the rest of the grading candidates and approximately 20 others from dojos across Ireland who had come along to train. Everyone was put through their paces with emphasis Kihon in the morning and on Kata and Renraku in the afternoon, finishing with an hour of Kumite. The day was interspersed with many water breaks due to the intense heat. Congratulations to all who were successful. Here is Sensei Shane Mulhall at the London open 1994. Once again the opponent is unknown. Here is another fight from the London Open 1994 featuring Sensei Shane Lalor of Swords dojo fighting against an unkown opponent.